Influenced by the 70's Jamaican and English sounds, Mystical Faya is a roots reggae band sublimated with a soulful voice. The group was born in 2007 in Pontarlier following the meeting of two passionate musicians of reggae. Mystical Faya quickly develops his own compositions, begins to tread the scenes of Eastern France and Switzerland. He released in 2011 a maxi 6 tracks and a first album at the end of 2013, Never Give Up! already in reissue. The audience follows. The middle reggae too. 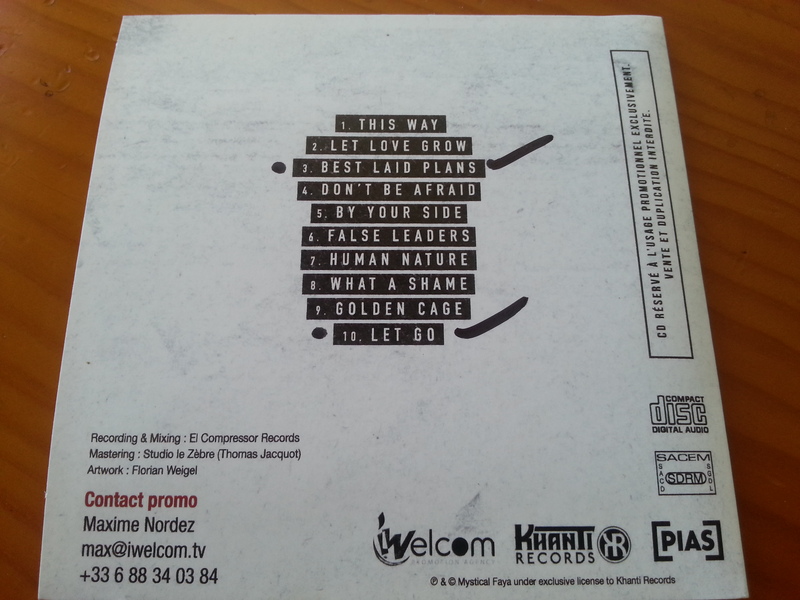 Proofs are (among others) the victory in 2013 of the Zion Garden winter jump, the second place France won at the European Reggae Contest in 2014. Mystic Loïc, the singer, also won two consecutive years the Reggae Singers Cont'Est in 2012 and 2013. Their productions at El Compressor Records have also been rewarded with nominations for "Reggae Victories", organized each year by the reggae.fr site. After a vinyl EP released early 2016 Inna Mi Yard, three titles, Mystical Faya released his second album Sleeping Souls in early June 2016. The group offers on this new album additional brass with including the presence of Nicho, the trombonist of the famous Californian group "Groundation". Following the release of this album and after being surrounded by two new musicians, the group continues concerts all over France between 2016 and 2018 as well as in Switzerland and Belgium, then participates in festivals of international stature. In 2018, while continuing the album tour Sleeping Souls, Mystical Faya embarks on a "side project": the design of an album to explore other musical styles (soul, gospel, jazz, funk ...) in a configuration more acoustic than usual. The goal of the Chill Sessions project is to revisit the band's own tracks but re-harmonize and re-orchestrate them to give them a new, more intimate color. Each title offers a different orchestration and a universe of its own, always at the service of lead vocals and vocal harmonies. 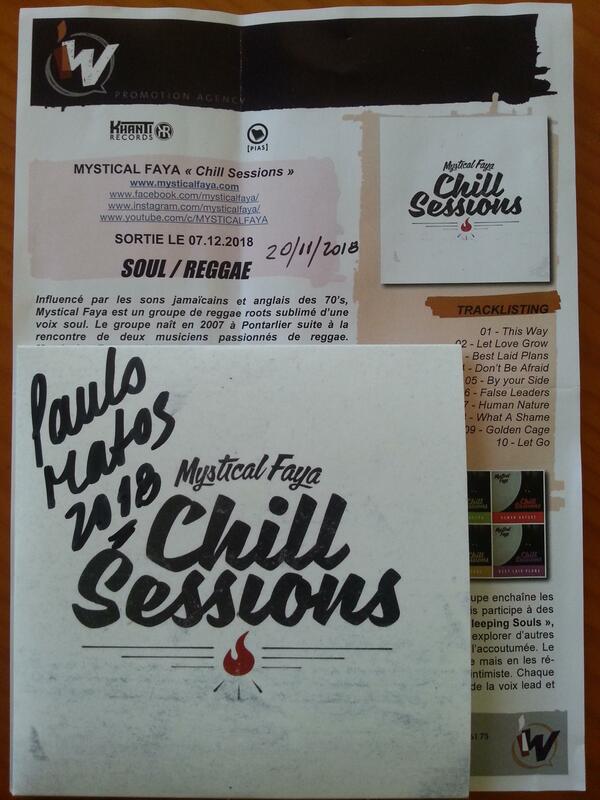 Chill Sessions is the new album, side project, of the reggae band Mystical Faya. He is the third behind Never Give Up in 2013 and Sleeping Souls in 2016. The idea for this album was born in March 2017 with the desire to explore new musical spheres. In an intimate spirit, the group and its guests propose revisited versions of several compositions mainly from the first two albums, and transport us to a universe ranging from soul / funk to electro through pop and other folklore. overseas.